Planning activities to keep your eco-club active and engaged all year can be challenging. What better way to fill gaps than to get involved in an ongoing eco-service project! 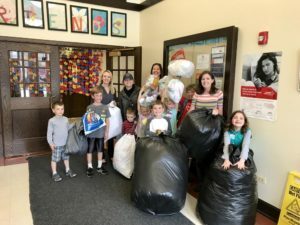 Collection programs for hard-to-recycle items are a great way to help our earth, reduce your school community’s impact, and provide ongoing activities for your students. Not only will a collection project reinforce the value of our natural resources, the routine work of an ongoing collection facilitates character building that will help students succeed in school and beyond. Maintaining a long-term project teaches students responsibility and stick-to-it-tive-ness. An eco-collection project also gives those who may not be academic stars the opportunity to be leaders in a different capacity. The project can also help your student group feel like a valued part of the school community from the visibility of their efforts. An eco-service project also reinforces the importance of not wasting resources – something hard to grasp in a wasteful society. Students will see first hand how much waste is collected and may be surprised by the amount. As a club sponsor, you can open up discussions about what action we can take to reduce that waste. Investigate! Help your students learn how their collection is making a positive impact for the planet. How are the items being recycled? What natural resource is it saving? Are there other benefits of your collection program? Perhaps it is helping a group of people or organization. Knowing more about the reasons for collecting will help your students buy-in and get others to understand the importance. Measure and display your progress! Create! Make collection bins and info sheets or posters to teach others and get them excited. Promote! Make sure everyone at school knows about your eco-service project. Your students can help explain the value and how to get involved by presenting to their classrooms, the PTA, or other student clubs. Measure! Regularly collect and measure your items. Perhaps set a goal. Then show off your work with a display at school! Quantifying your impact will help maintain motivation throughout the year. 1. Keys for Conservation – There are tons of keys collecting dust in drawers – clear them out! This collection takes up very little space. Sorting provides some extra student involvement. Using a magnet, separate ferrous from non-ferrous (non-magnetic) keys. Bring them to a scrap metal recycler or SCARCE to help fund our resource center! 2. Bread Tags – SCARCE is helping Danielle Cares for Chairs collect bread tags for recycling. Another small, easy collection of an otherwise non-recyclable item. 3. Terracycle – join a Terracycle brigade and begin collecting. Don’t want to join? 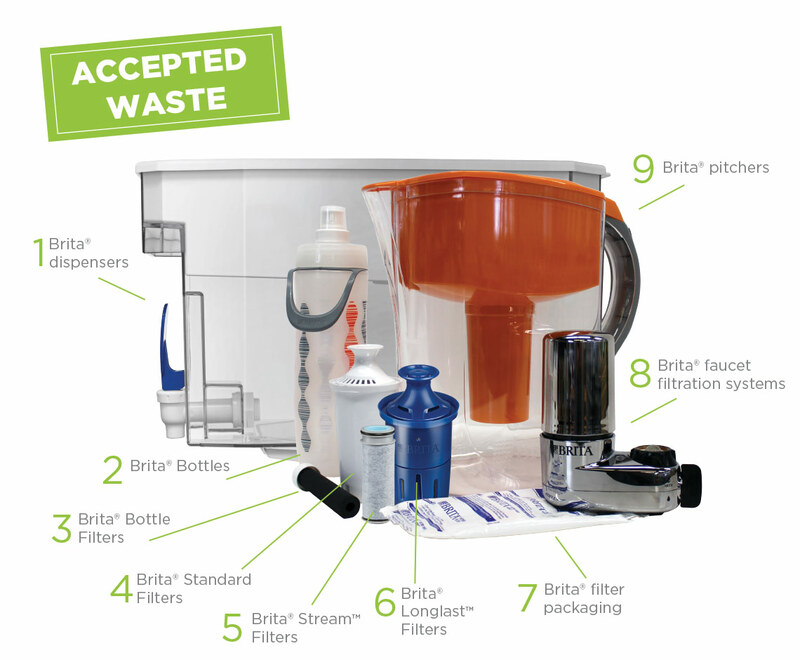 Collect Pur & Brita products for SCARCE’s Terracycle Brigade and help support our resource center. 4. Disks – Help keep disks out of landfills! Recycle CDs, DVDs, and video game disks through SCARCE’s new recycling program. Proceeds also help support or resource center and education projects. 5. Plastic Bags & Wrap – Join the Trex Plastic Film Recycling Challenge. In 2017, Hawthorne School (Elmhurst) earned a bench for their school! Students can help educate that bags and film are only recyclable in special programs, not typical home or school recycling bins. 6. Crayola Colorcycle – Recycle markers of all kinds through Crayola’s free program, available only for schools. Make marker monsters to make collecting fun! All of the above collection projects are for hard-to-recycle items, meaning, you can’t recycle them in a typical curbside recycling program. 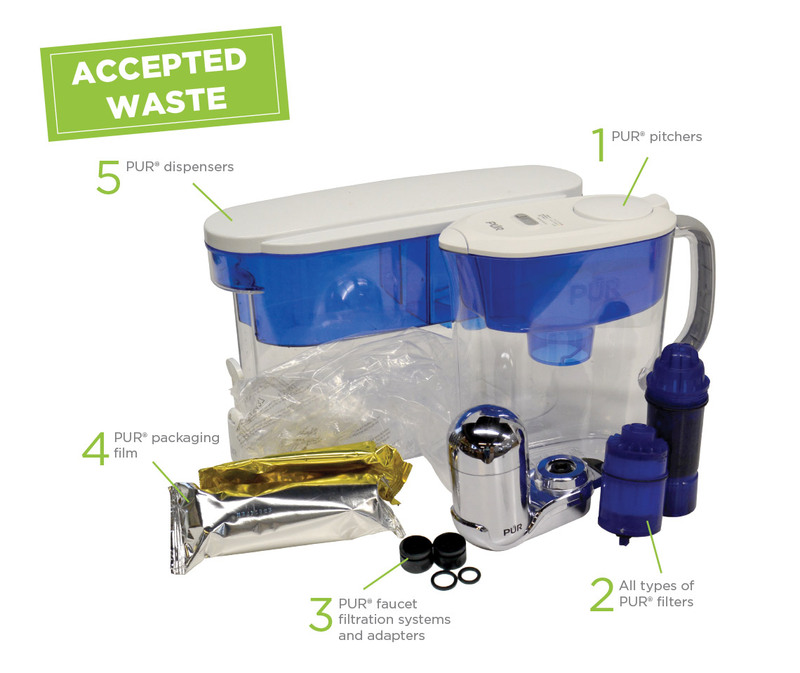 Your students would be providing a unique eco-service to your school and community by creating an outlet for these items other than the landfill. After set-up, many programs require only a small amount of time in ongoing management outside of any enrichment you choose to do. Is your school’s recycling program struggling? 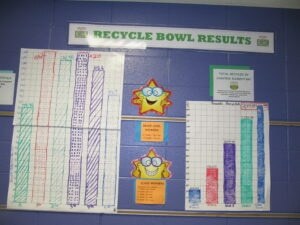 Check out PepsiCo’s Recycle Rally to inject some enthusiasm into your school’s recycling program. Cass Jr. High was able to utilize funds from the program to install water bottle refill stations! Need more ideas or advice? Contact us – we’re happy to brainstorm with you.